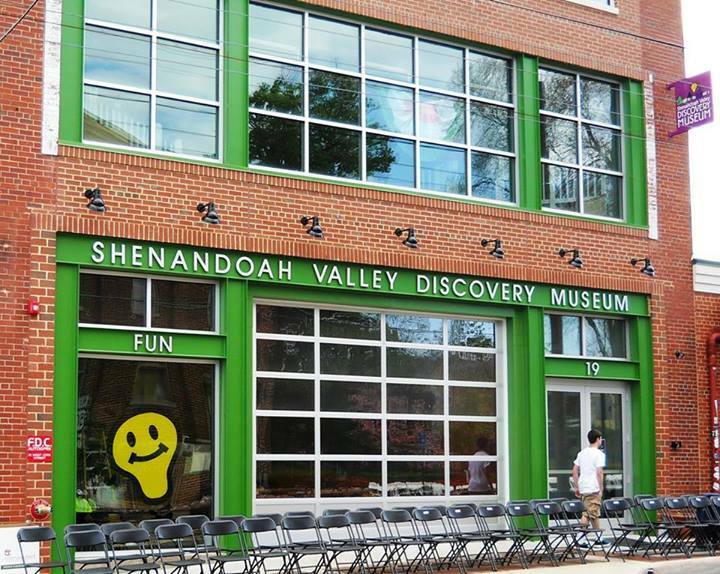 Our mission at the Shenandoah Valley Discovery Museum is to ignite creativity, spark curiosity and inspire learning in visitors of all ages by providing a rich variety of interactive, hands-on exhibits and programs that focus on the sciences and mathematics, the humanities, and the arts. Exhibits, activities and programs are interactive, participatory and informal, and give visitors opportunities to experiment, have fun playing, use their imaginations and share ideas. Visitors are engaged at their own level of expertise and experience. Activities and programs are multi-sensory, authentic, honest, and factual. The Museum works in a spirit of cooperation and partnership with educational, cultural, governmental and community organizations. 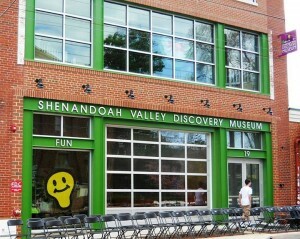 Admission is $8 per person, ages 2 and up. Free admission is offered to children under 2 and for members. Admission is also free on the “First Friday” of each month from 5 p.m. to 7:30 p.m. Hours of Operation: Tuesday thru Saturday: 9 a.m.-5 p.m.; Sunday: 1 p.m.-5 p.m; "First Friday" of each month: 5 p.m.-7:30 p.m. Closed Mondays.